Starting a business is never an easy task. It takes a lot of intense planning, execution of your strategy and little bit of luck to create the kind of business that you can build your life around. We know that businesses fail at an exceedingly high mark, reported at anywhere from 50-90%. Due to this high failure rate, every aspiring entrepreneur should be seeking out whatever potential advantages they can find. Fortunately, I’ve found a few natural benefits of being a former athlete that can help you carry over your talents into the business world. The number of people we’ve seen turn from athlete to entrepreneur – from Michael Jordan to Magic Johnson to George Foreman to an amazing number of former college athletes such as Lewis Howes – shows that we are more than just our elite physical talents. There are other factors at work in creating our success. And these skills are transferrable from the sports arena to your own successful business venture. I’ve created a list of 7 factors that give athletes an advantage when creating your own businesses. As I’ve been researching athletes getting into entrepreneurship, one of the most common themes I’ve found with former athletes is huge hole leaving the game leaves in their lives. One such athlete even said that retiring from his playing days was comparable to getting a divorce. All throughout our lives, our playing careers were such a huge part of our lives; they affected our education, our everyday life and our social lives. The game really filled a significant portion of our life. When it’s gone we struggle to find something else to fill it. It took me a while to find entrepreneurship to fill that hole. I tried law school, thinking that a new challenge would fill the void, but it really was not what I was looking for. It was easy to see when my other classmates had that passion for the law the way I used to about baseball. They were ready to be at the top of the class and be an attorney at the biggest and baddest firms in the northeast. I found law school to be an interesting intellectual stimulation but nothing more. I figured since I had spent a fortune to try and become an attorney I might as well see it though, but I quickly found that life was not for me. Some of my other teammates have found their passion in other ways. My best friend, and former shortstop of our college baseball team, now lifts 2-3 hours per day and is an aspiring fitness competition competitor/body builder, he told me that there are days he could stay at the gym from open to close and just work out all day. That’s the kind of passion that we look to have, and when we find it, we excel. And because ex-athletes are hungry to find that next passion, when we do find it we do everything possible to hold onto it. Let’s face it, athletes need to have an insane work ethic. They were either practicing and working out daily to compete against world class performers in sports or trying to balance athletic pursuits with academic studies and social life. Just trying to survive either gauntlet of tasks left me getting pushed to my absolute limits. My last 2 years of eligibility I started taking courses towards my MBA and began studying for the LSAT while still being a varsity athlete and attempting to maintain some semblance of a social life. It left me absolutely exhausted, but at the same time it challenged me in a way that I had never been challenged before. This schedule was also a great way to understand what it was going to take to succeed in business. I’m sure many other athletes can relate to my story as well. The missed classes that you need to learn on the fly, the hours of time spent on buses and airplanes traveling to and from games – it’s an absolute grind. So instead, you’re up until 3am writing papers and pulling all-nighters studying for exams, only to crash for a few hours before you have to get up for practice that day! This is not much different from when you are starting out on your own new venture (especially if you are going to be grinding it part time while keeping your job; something I HIGHLY recommend at the very beginning). You will be working for hours each day, sometimes late into the night because you will find yourself really in the zone and won’t want to lose the wave of momentum that you are riding. And this is after a long day at your job, plus finding time to work out, eat meals, hang out with your friends and get in some semblance of a full night of sleep. Fortunately your experiences in your career have prepared you to work harder than the average person and reach success that much quicker. I know what you’re thinking…personal development? I don’t read any of those types of books or go to those “woo woo” retreats. But the reality is your career was always about personal development. You went to practice right? You spent time there honing your craft there. Did you ever do extra work? My best friend and I would take extra batting practice before and after every practice. We had to get our extra reps in to get our swing just right. I’d hit him extra ground balls at shortstop and he’d throw me short hops at first base to practice my picks. Additionally, think of all the film study that is done in review of previous performances. I know we used to tape our swings so we could break them down and find flaws as well. In business obviously things will be different. You are not working on your body, but you should be working on your skills. The reality is you are just playing a different game. In this world your skills will be writing, editing, public speaking, networking and copywriting. Additionally you will need to continue growing your mind, investing in books and courses to continue learning and growing your skills. I personally spend thousands of dollars each year on different books and courses to continue to grow my business, my mind and my income. It’s no different than the new equipment, private coaching or sports camps you used to go to as a kid. No matter what field you are in, you should always be investing in yourself to improve your game. If you are a football player or even a fan of football you’ve probably heard announcers say quite often that both cornerbacks and quarterbacks need to have short memories. Make a bad pass? Forget about it, move on. Let a guy make a catch? Forget about it, move on. We know as athletes we all had to deal with some sort of failure, forget it and move on because there were more plays to be made. I had to deal with this a lot in baseball (a sport where by its very nature you fail more than you succeed). I would make an out, be unhappy briefly and then have to get back in the game for the next at bat. Those times when I couldn’t do that, I’d let one bad at bat get me out twice, something that hurt both me and the team. But one thing I learned in sports is that no matter how hard I try, I will fail sometimes. All athletes learn how to deal with the failure and just keep going. Because there was always more game left to be played, with more chances to succeed. When you are starting your own business you will face road blocks. You will try things that won’t work. You will fail, but that is ok. It just means you get to learn something and keep going. And unlike our time on the field/court/ice, time in business doesn’t run out when the clock hits zero. You can keep learning and tweaking and growing until you have a viable, profitable business. You can use that short memory to block out a pity party the average person would throw after a set back and treat it like you would any kind of step back in your sport. Give yourself some time to deal with it, learn what to change for next time, and move on to your next task to keep momentum going. I want you to think back to your playing days, were you ever afraid on the field? Probably not. For me personally, standing at the plate with that bat in my hand was one of the few places in life that I felt powerful. I knew that I was in control of my success or failure. I loved being able to compete and letting my best face the pitcher’s best. You probably have a similar experience from your sport. The point is you were not afraid to just give it your all and let the results happen. Part of this is because you know you prepared to get yourself the most ready you possibly could. And no matter what, you gave it your absolute all. You saw the obstacles and failures as new challenges and just put your head down and kept attacking them. Failure and giving up were never an option. You were determined to find a way to get past any challenge in your way. In business you need to maintain that same level of fearlessness and grit. You are going to need to do things that will not be comfortable for you. It is similar to how people do not understand your desire to be “risky” and work for yourself rather than have a “safe” job that brings with it almost zero fear. They ask (fearfully), “what if you fail?” You are more likely to ask them back, “what if I succeed? What if I make it?” And you are going to be willing to get after it, and know that as long as you keep battling and trying to get better each day eventually you will succeed. I know this one might seem odd, but have you ever seen the movie “For the Love of the Game?” When Kelly Preston’s character is surprised to find out that Kevin Costner’s character knows the exact amount of wins and losses in his career and asks if he counts them, he calmly responds “We count everything.” And we know that in sports we do count everything – goals, assists, home runs, RBIs, points, rebounds – everything. This will serve you well in your business as you will need to test everything. 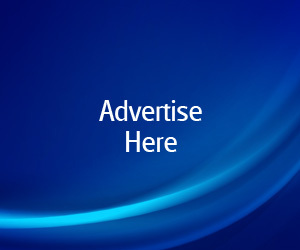 You will need to test your marketing to determine the most effective ad copy and giveaways. You will want to test different landing pages for your opt-in rates. You will want to test different product pages for sales conversions. You will want to get test numbers of your products from beta testers before you actually put the product on the market. All of these will give you statistics that you can use to analyze your business and see what you need to change, or do more of, to improve your bottom line. You have been learning from coaches your whole life, even before you started playing sports. You probably first learned how to play sports from a parent, neighbor or other family member. For me, it was my first Christmas. I was 6 months old and my first gift from my dad was a foam ball and bat. He was my first coach as he taught me how to hit. He was also my coach for years later in little league, junior league and American Legion. As I got older I went to other camps and had other coaches, but I was always able to learn and take something from those coaches. Each of those little bits made me the player I became, the one who could play in college and start in the NCAA tournament. Your story probably has some similarities to that. Many coaches who were a part of your story, who taught you things that made you better and helped you reach your goals. When starting a business, one of the best things you can have is a coach or a mentor. That person who knows more than you about business, marketing and sales. 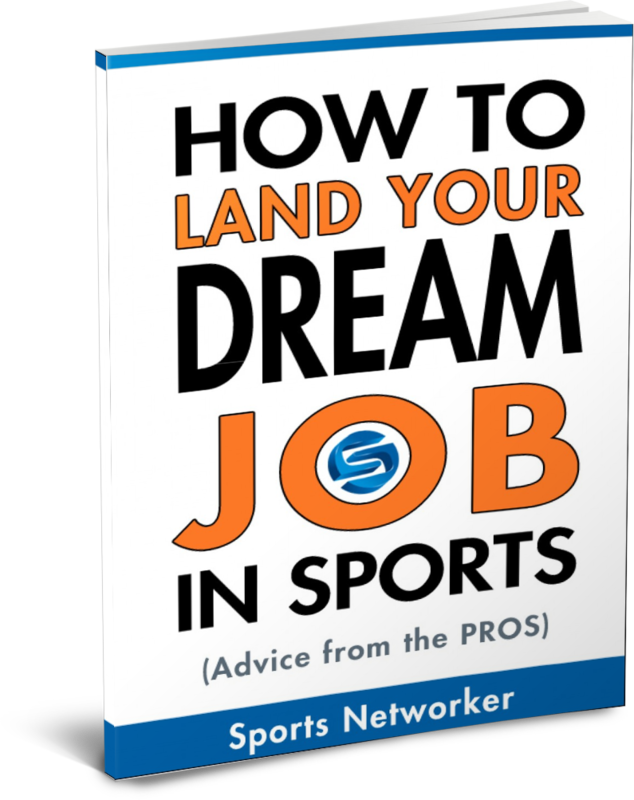 Just like with your sport, you will probably end up with multiple coaches throughout your business – some will be better than others (just like your other coaches in your career). Usually the higher up you go the better your coaches will be, as you will be able to talk with him or her about business on a higher level. It’s no different than what your high school coach and your college coach could do for you. It’s simply both of you being at a higher level than with your previous coach. The most important thing about coaches is to take what you learn from them, apply it to get you to the next level in your business and do it over and over again. Yes, some of those coaches will probably be paid, some will be natural mentors, but each one can get you at least one step closer to your ultimate goal. So do what you’ve done for years and listen to your coaches. Now Go Shift From Athlete to Entrepreneur! As you can see, your background has already put you in position to transition from athlete to entrepreneur successfully. By simply recycling your energy towards a new venture you can live the life of your dreams. You can travel, spend time with the family, go to the Super Bowl, but most importantly fill that void that we all felt when we finally hung up our jersey for the last time. For me it was especially painful because I blew out my knee my senior year and never got to play in a game that season. But like you I understood the void that I had in my life, and how I needed to find something else to fill it. You and I have both chosen the path of entrepreneurship to fill it, and I am excited to see what your story looks like down the road. BJ Pivonka is the founder of Athletic Entrepreneurs (bjpivonka.com), where he helps former college and professional athletes successfully transition from their playing career into their own profitable entrepreneurial venture. At his website you can get his free 5-day email course to get your first profitable idea and start earning money even if you do not have an idea yet.